Anik G1 is a canadian communications satellite operated by Telesat Canada, carrying 16 transponders operating in the extended Ku-band that will be used by Shaw Direct, a provider of direct-to-home satellite TV services in Canada. Anik G1 will also provide expansion and follow-on capacity at 107.3 degrees West co-located with the Anik F1R satellite covering South America. It also has 12 Ku-band and 24 C-band transponders that will both replace and expand on Telesat’s Anik F1 satellite now serving South America. In addition, Anik G1 will have three X-band channels for government services over the Americas and part of the Pacific Ocean, and one channel in the reverse Direct Broadcast Service band. 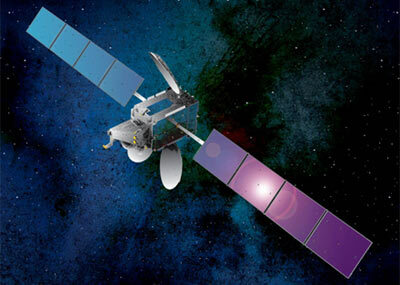 To be built by Space Systems/Loral utilizing the flight-proven SSL-1300 platform, Anik G1 is anticipated to have a service lifetime of 15 years.